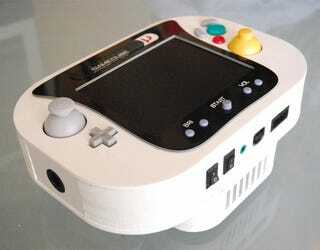 Another day, another "portable" GameCube mod. This one, however, boasts an exposed, finger-slicing mini-DVD drive on the back. Oh, and don't you dare set it down while you're playing either.